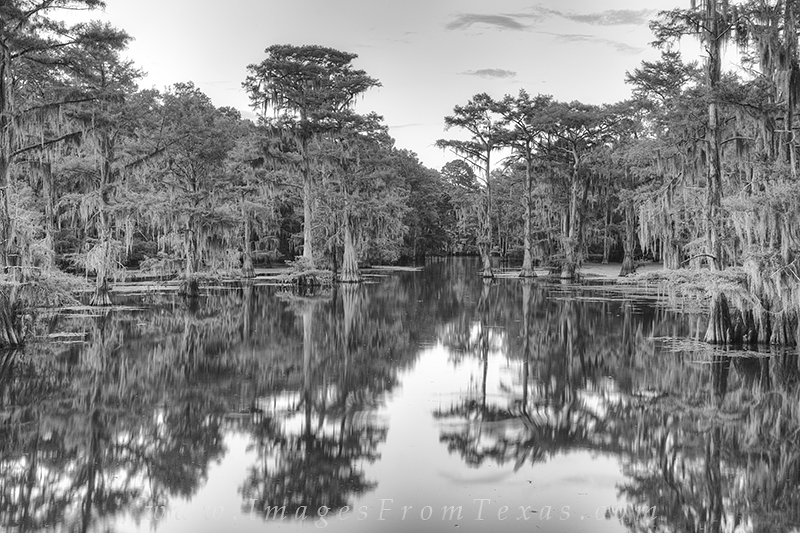 In the evening after the sun has settled below the horizon, the swamps and bayous of Caddo Lake are still. This black and white image from a summer evening tries to convey the mystery and beauty of these wetlands, but I also wish this photograph could carry the noise of the frogs and other creatures that began their nightly rituals. It could have easily been a rain forest I was photographing. Photo © copyright by Rob Greebon.